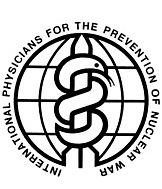 Joint statement by the International Federation of Medical Students’ Associations (IFMSA), the International Physicians for the Prevention of Nuclear War (IPPNW) Students, the International Veterinary Students’ Association (IVSA), the International Association of Dental Students (IADS), and the International Pharmaceutical Students’ Federation (IPSF). Peace and health are closely interlinked, one cannot exist without the other. The very basic principles of living together in healthy societies are strongly linked to a peaceful environment. Good health is the basic condition that enables people to contribute and participate in a society and their everyday activities. Violence, aggression and warfare are among the greatest risks not only for sustainable peace, but also for health and the economic welfare. Health systems and their development can contribute to peace and peacebuilding by promoting justice, ethics and humanitarian values. In order to promote peace and explore its deeper components, we must understand and address the underlying reasons of its disruptions – such as violence, conflicts and human rights violations. We are currently living in very fragile times, demonstrated by rising tensions, prolonged insecurities and violent conflicts. Diplomatic disputes and military actions involving nuclear armament are of particular concern for the international community, keeping in mind the possible frightful and disastrous consequences of such conflict. The magnitude of nuclear weapons’ power is unparalleled, with the International Court of Justice stating in 1996 “the destructive power of nuclear weapons cannot be contained in either space or time. They have the potential to destroy all civilisation and the entire ecosystem of the planet.“ A single nuclear warhead, if detonated on a large city, could kill millions of people, with the effects persisting for decades, affecting generations of people living in surrounding areas. Despite the tragic historical events and catastrophic potential, nuclear weapons still remain a key attribute in the security policies for many countries, and possessing them has become a perverse status symbol. We are deeply concerned about several prolonged crises around the world, which diminish individual country’s development. These crises leave behind economic, social, environmental, and medical repercussions. It is disturbing to have civilians in strife for decades and children growing in such conditions. Despite global attempts to save lives, alleviate suffering and decrease the burden of such crises through humanitarian and development aid, the underlying determinants of these crises remain unsolved. Continuous gun-exports into conflict zones account for long-lasting armed conflicts. Regardless of global efforts to improve humanitarian coordination, a substantial amount of medical and humanitarian aid remains inaccessible to those in need. In addition to challenges in access to medical and humanitarian aid, attacks towards civilians, and among them the humanitarian and medical personnel in conflict zones, have become a tragic reality of the modern era. Despite the fact that International Humanitarian Law (IHL) explicitly states that civilians and personnel engaging in provision of humanitarian aid must always be respected and protected, such attacks occur on a daily basis. We have witnessed frequent and repeated attacks against health services, in some cases even of systematic nature. Measures to strengthen protection of civilian populations in conflict and non-conflict situations must be implemented at the national levels, and an effective system for bringing responsible perpetrators to justice must be installed. The UN 2030 Agenda for Sustainable Development puts people and their well-being at the centre of all actions, following the principle to “leave no one behind“. The aim of the SDGs goal number 16 is to “promote peaceful and inclusive societies for sustainable development, provide access to justice for all and build effective, accountable and inclusive institutions at all levels“. Youth and adolescents are among the most vulnerable, and often most affected, during periods of violence and conflict. Despite this, youth-led peace-building initiatives are the important and positive contribution of youth in efforts for the maintenance and promotion of peace and security. On 9th of December 2015, the United Nations Security Council unanimously adopted legally binding resolution 2250 on Youth, Peace and Security to increase representation of youth in decision-making and peace-building at all levels. This was a historic step of the United Nations towards recognition of an active role of young people in building and sustaining peace. As health sciences students, youth, and future health care professionals, we have an undisputed duty to promote the ideas of peace and peace-building. We understand that for sustainable peace, a long term action, education and community work is of an imperative importance. This should not only be reflected in education of young people on the role of peace in our lives, but also in the professional code of conduct and practice of health care workers. The International Federation of Medical Students Associations (IFMSA) envisions a world in which medical students unite for global health and are equipped with the knowledge, skills and values to take on health leadership roles locally and globally. Founded in 1951, it is one of the world’s oldest and largest student-run organisations. It represents, connects and engages every day with an inspiring and engaging network of 1.3 million medical students from 136 national member organisations in 127 countries around the globe. The International Veterinary Students’ Association (IVSA) is a non- profit organisation for veterinary students across the globe. The association was founded in 1953 in Germany and is voluntarily run by veterinary students since then. The mission of IVSA is to benefit the animals and people of the world, which is accomplished by promoting and enabling international application of veterinary skills, education and knowledge. 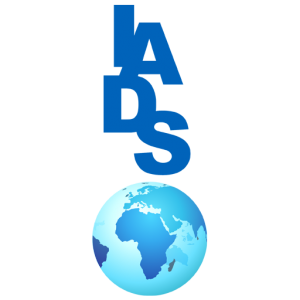 IVSA has approximately 30.000 members, who study at more than one-hundred different universities in over fifty different countries, representing 6 different continents of the world. The International Association of Dental Students (IADS) was formed in 1951, to unite the dental students of the world and allow them to exchange knowledge and experiences about dentistry at an international level. Representing the interests of more than 200,000 dental students in 50 countries worldwide and having its headquarters at the FDI World Dental Federation headquarters in Geneva (Switzerland), the Association strives for dental educational and scientific excellence throughout the international student projects and initiatives it manages. The International Pharmaceutical Students’ Federation (IPSF) represents approximately 380,000 pharmacy students and recent graduates in 84 countries worldwide. IPSF is the leading international advocacy organisation for pharmacy and pharmaceutical sciences students promoting improved public health through provision of information, education, networking, and a range of publications and professional activities.